Explore, Learn, Have Fun! : Love mermaids? 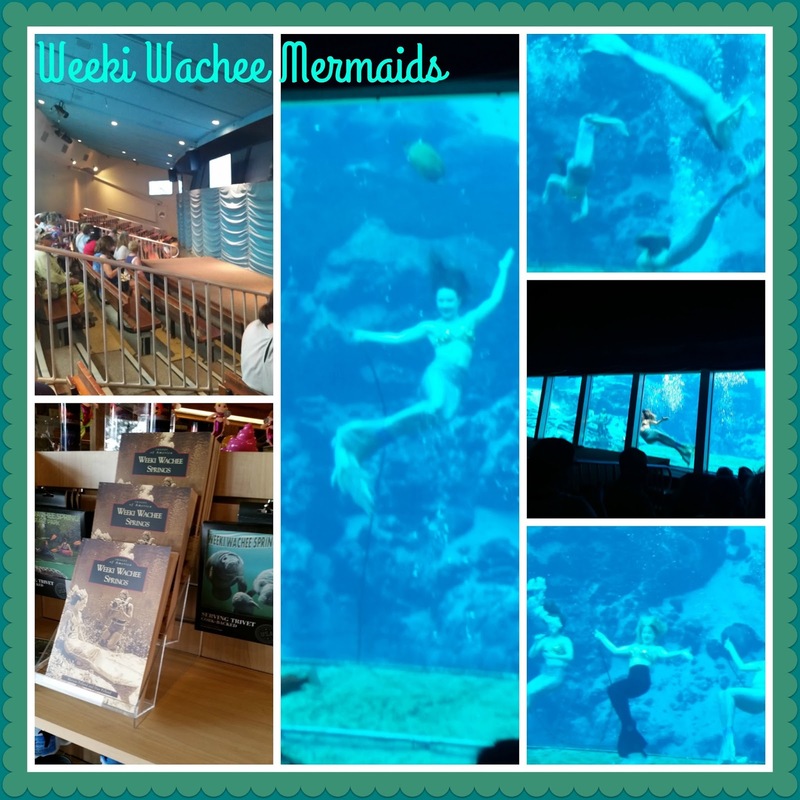 You have to visit Weeki Wachee! We started our adventure in Weeki Wachee, Florida - the city of live mermaids! It's about an hour north of Tampa. I grew up in Jacksonville, so as a child I visited this magical place and it made quite an impression on me. No surprise then that I love to visit Weeki Wachee as an adult, even if it's 10 or more years between visits. It's still magical to me every single time! 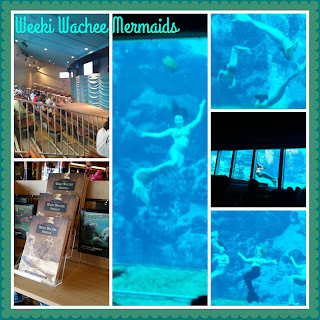 David and I saw the Weeki Wachee mermaids perform at the Georgia Aquarium about a year and a half ago, and I've been wanting to take a trip back to Weeki Wachee ever since! Aunt Anne had never been here, and David was a baby the last time we visited the park, so I couldn't wait to show them one of my favorite places. There were three shows the day we visited, and we got there 20 minutes before the last show of the day started. 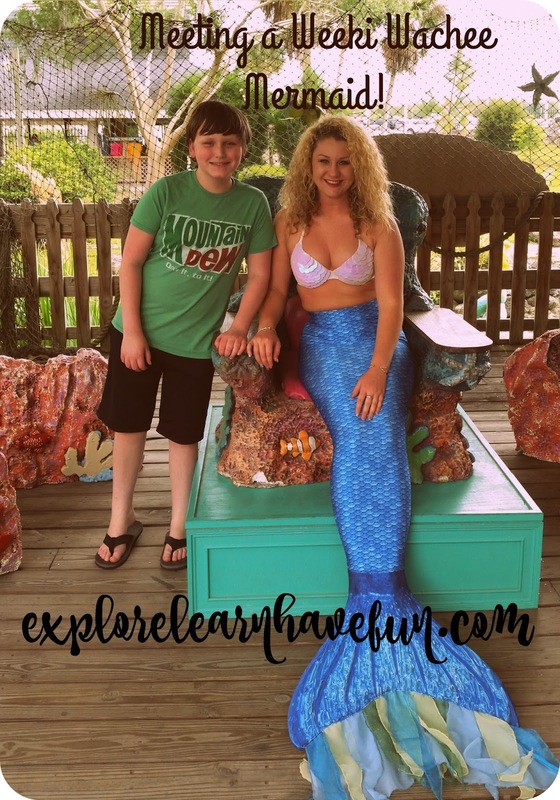 We stopped at the gift shop inside the park and picked out a few things, then it was time to go over to the Newton Perry Underwater Mermaid Theater. We took our seats, and watched videos on the monitor of Weeki Wachee's history since it began in 1947. 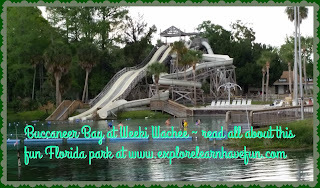 You can read about the history of Weeki Wachee here - what a great story it is! The theater quickly filled up and soon it was time for the show to start! We watched the mermaids appear as the curtains rose to display the windows into the spring. There were several fish and two big turtles swimming in the spring with the mermaids that day - it was so cute to watch them! The mermaids perform Hans Christian Anderson's The Little Mermaid. There are two parts of the show that will likely scare little ones, so be aware! They do announce this at the beginning of the show, as well. If your kids don't like really loud noises, or flashing lights, you may need to take them out before the little mermaid and her true love come out to dance on the stage, and then leave quickly at the end of the show before the mermaids take their bows. The mermaids are graceful and lovely, and they breathe underwater from air hoses that are placed throughout the spring. The training they must have to be able to perform like this - wow! It's a really beautiful show and we saw all people of all ages enjoying it when we were there. After the show, you can do several other things while you are there. We still had a two hour drive to our hotel, so we couldn't stay. Try to give yourself enough time to enjoy the entire park when you go! Here is the park's map that shows everything. There is a river cruise down the Weeki Wachee River, and an Animal Encounter Show that highlights Florida wildlife such as snakes and alligators. They have several restaurants and gift shops, and a nice playground for your littles. If you visit during the summertime, you can enjoy Buccaneer Bay - an awesome water park with slides, a kiddie pool and more. The spring itself is open for swimming year round, but the water park is seasonal. Your ticket price includes everything - shows, river cruise, even Buccaneer Bay! And if a quick visit isn't enough, you can even register for mermaid camps! They have them for kids ages 7-14, and for adults 30 and over. 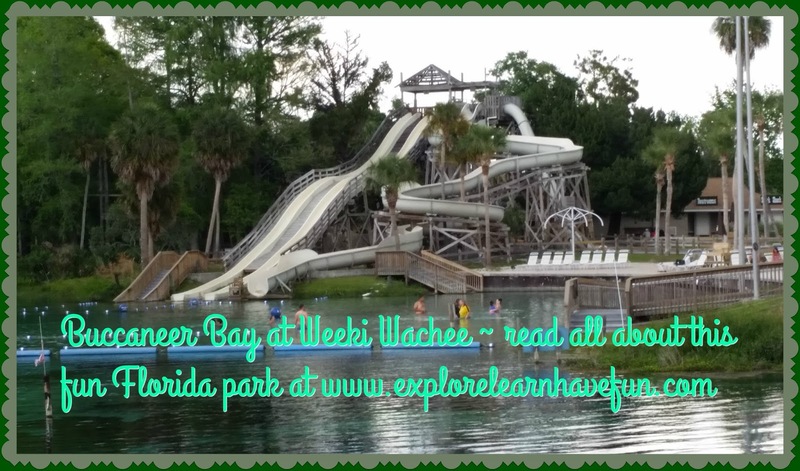 You can learn more about Weeki Wachee at their website, on Facebook, Twitter and Pinterest and Youtube. If you have visited Weeki Wachee before, tell me what you love about it in the comments, please! And if you haven't been, I hope you'll consider it on your next trip to Florida. It is definitely an attraction that everyone should visit at least once when you are down that way - so unique and lots of fun. Disclaimer: I received two passes to the park in order to facilitate this review. All opinions given in this post are my own! This looks like my kids would LOVE this! I'll be sure to check it out - thanks for sharing!